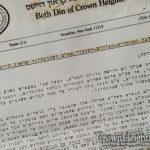 Following eight years without elections for Crown Heights public office, a letter was sent to the Rabonim of Crown Heights requesting their assistance in the oversight of an election for positions in the Crown Heights Community Council. 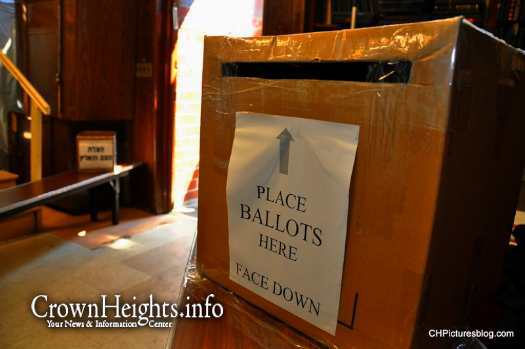 The last failed attempt at elections was in 2016, and at the time was was due to the lack of “Netzigim,” or representatives from shuls of Crown Heights to form an election committee. 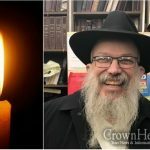 To bypass this hurdle, Zaki Tamir asks three Rabonim of Crown Heights, Rabbi Osdoba, Rabbi Schwei, and Rabbi Braun to each elect two members to the election committee. 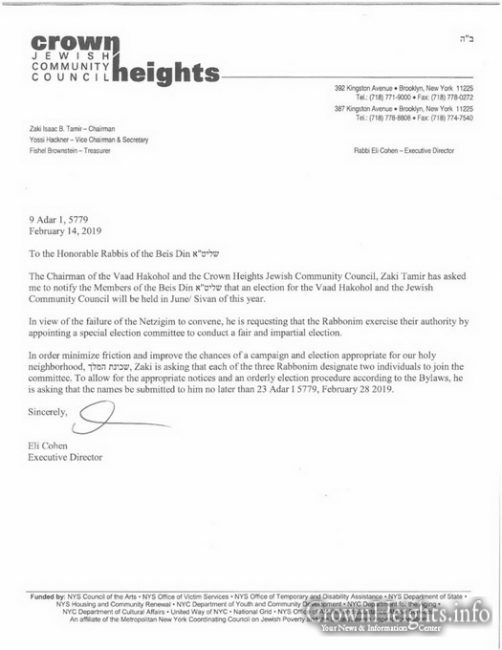 The letter sets 23 Adar I 5779 – February 28, 2019, as the requested deadline so as the elections could move forward smoothly. The CHJCC the most irrelevant thing in our lives. What have you done for CH in the past eight years? No thanks. You can keep him. Baloney. They’ll either re-elect themselves or elect their puppets. The people see the truth. We don’t have 3 Rabbonim. When last did Rabbis Schwei and Braun disagree on anything? It might make sense if each Rov were to appoint ONE member (and even that is questionable), but have each Rov appoint two members is a sleazy way to claim a democratic majority where there is none. I suppose ladies are not going to be allowed to vote. Why do the Rabbonim have to get involved in this at all? There are by-laws from many years ago that still apply. 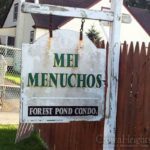 When they tried a few years ago, the had “rabbi” brain come and try to force us to sign a letter that we will listen to what they tell us to do. We need to take this to court so elections comply with law. The elections should be overseen by an independent third party, like UJA or an accounting firm. Zaki has absolutely no authority to decide how the election should be run. There are currently close to 90 Shuls in CH. There was no attempt two years ago and neither has there been one today to gather the Netzigim together. This is because the Shvei-Braun camp doesn’t have control of them and they would like to dictate the outcome of an election. So the whole thing is one big farce. In any event the Rabbonim, council and Vaad has done absolutely nothing for the last eight years and are very marginal organisations serving their individual constituency! There are many other Rabbis in the community who have a greater following than them!